Coconut oil has made a remarkable entry on the scene with its impressive amount of antioxidants that help reduce oxidative stress and thereby the risk of heart disease. However, its saturated fat content is 13 times higher than that of olive oil. Olive oil has become a very important player in health with its “good fat” renowned in the Mediterranean diet. It has been shown that a diet high in mono-unsaturated and polyunsaturated fats is essential to maintaining good health. For the past few years, foodies and influencers have been raving about coconut oil and its benefits. 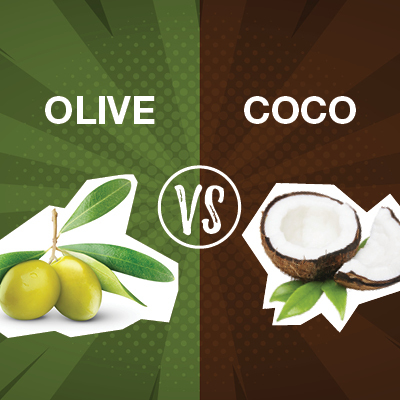 While olive oil has been making its mark for thousands of years, the coco trend has spread like wild fire. 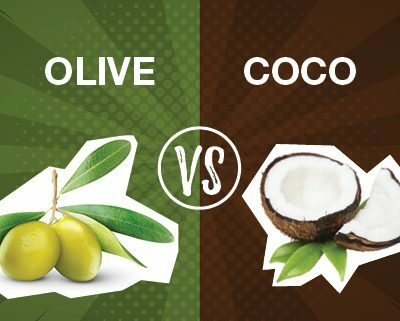 In kitchens, olive oil has proved its worth by offering unlimited health opportunities while coconut oil is slowing gaining more notoriety. Its saturated fat content allows it to be used at higher cooking temperatures and its exotic taste adds a little sunshine to our meals. In cosmetics, both oils are used in shampoos, cleansers and moisturizers. The fatty acids and antioxidants they contain strengthen and protect the skin. All in all, it’s impossible for us to proclaim a winner… Maybe you can help us choose which best suits your needs and tastes? https://www.neolia.com/wp-content/uploads//2017/07/blogue-2-400x400.jpg 400 400 Martin Cote /wp-content/uploads/2016/11/logo-neoliax2-300x86.png Martin Cote2017-08-11 06:56:502018-06-19 12:18:47Olive Oil vs Coconut Oil: Who Is the Ultimate Winner? The Importance of Conditioning Neolia butter and lotion: complementary or seperate entities ?